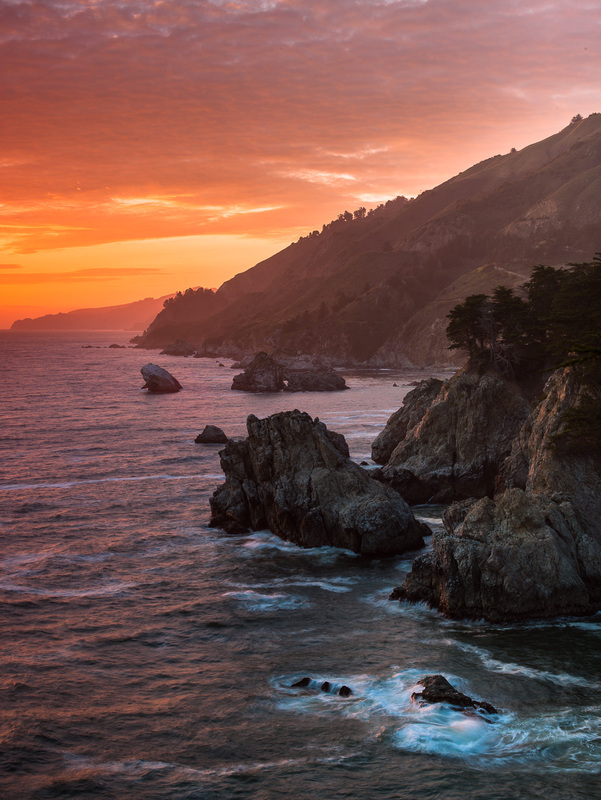 The rugged coastline of California just south of Big Sur is not only for a motorcyclist's dream but for anyone that can take the moment to drive this part of Highway one. Such beautiful sunsets can been viewed. Photo © copyright by Lance B. Carter.